A lot of hairstyles and clothes that were encountered with Subway Surfers models are waiting for you to create new and beautiful style of you. To win a handsome appearance by our friendly hairstyle and dress that will help her talented hands with you and you will help him become very different. 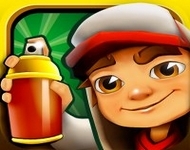 Subway Surfers during Hair comb, scissors, hair dryer, using hair extensions and hair coloring cream tubes to ensure that a new style of our character and be able to have fun with it. 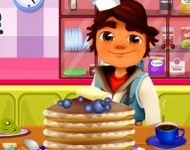 Similar games to play our character you can find by clicking here.